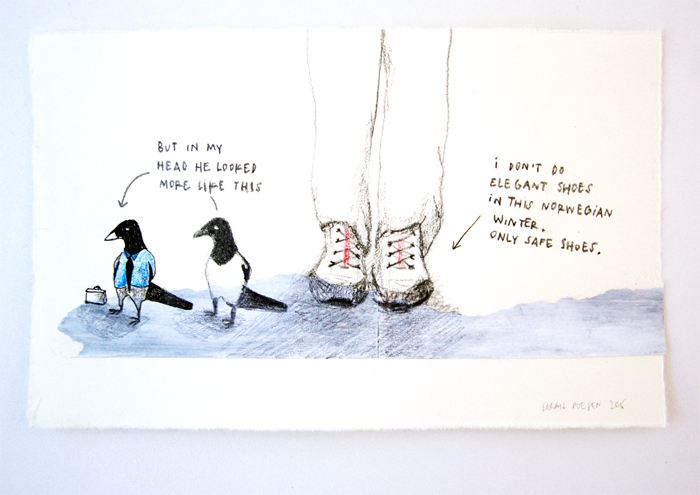 yesterday, a bird stood next to me on the sidewalk. very official, like he was waiting for his bus. so i imagined his (secret?) office life. birds with human characteristics are the best. Natuurlijk zou ik je fijne werkjes missen…! Denk niet dat facebook daar last van had!? Of wel?? ?